If you need a small NMEA 2000 network, Actisense’s all-in-one 4 Way at upper left is an especially simple and rugged way to go. 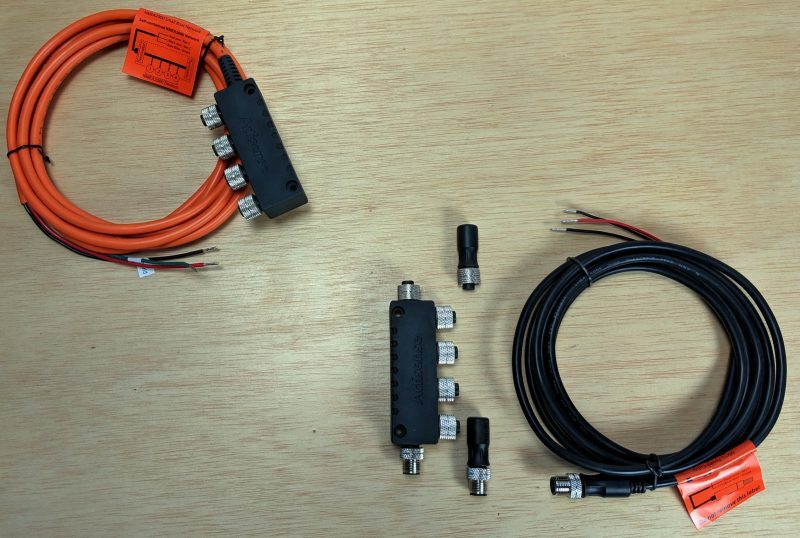 In fact, it includes all the components seen in their starter kit at right and the resulting network is a bit better as it will offer four female N2K connectors for drop cables to devices like plotters and sensors while one of the starter kit’s four connectors will be occupied by the power drop. On the other hand, the Actisense RIB Starter Kit is a better choice if the N2K network backbone ever needs to be extended. You can simply run cables from either or both ends of the 4-way and move one or both backbone terminating resistors to the new end(s). Meanwhile, the terminators built into their 4 Way Small Boat Network mean that backbone cannot be extended. However, there’s lots more you can do with a short N2K backbone and drop cables than many people realize, and that’s a small portion of what I’ll detail below. I had some fun mocking up various network designs on my new testing and photo bench, and they will hopefully illustrate what you can and can’t do within the NMEA 2000 standard, plus some techniques that are simply good practice. But let’s start with what you can get away with… at least with a small NMEA 2000 network… and at least most of the time. I don’t actually remember when or why I put together this funky 3-way backbone and power drop, but I know it works OK while also illustrating numerous poor practices. The terminating resistors, for instance, are from different manufacturers (though they should provide the same resistance), and I think that skinny power drop cable may contain power wires even smaller gauge that the 22 AWG that’s normal with the N2K Micro size cabling most boats use. 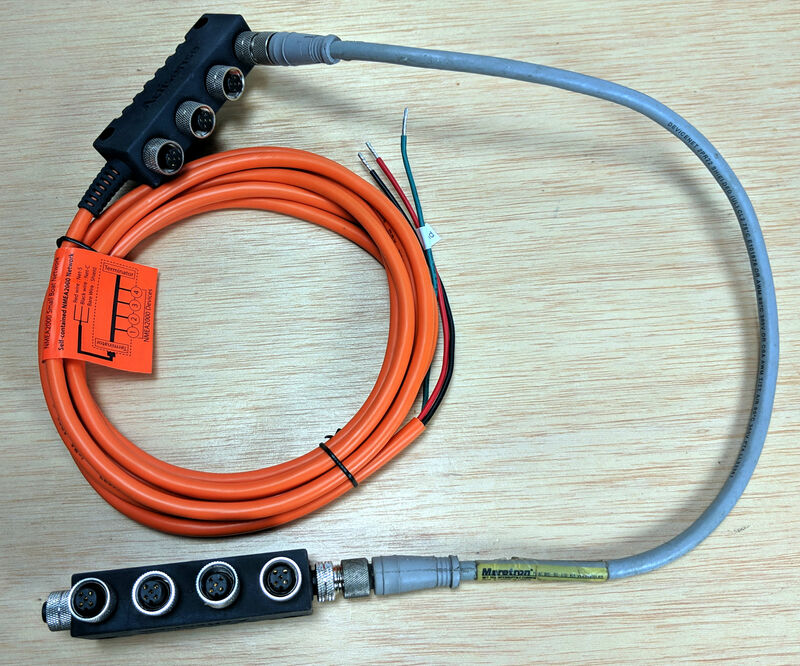 But for Micro cable networks the NMEA permits up to 50 devices on a backbone up to 100 meters (328 feet) long with numerous drop cables up to 6m (20ft) long (but not exceeding 78 m or 256 ft in total drop length). That’s a big network, and I’m told that the NMEA was conservative in terms of what other standards permit on the same DeviceNet Micro C “physical layer” (also known as cabling and connectors). In short, you can get pretty funky with small N2K networks and probably get away with it, and I have. Moreover, a drop (also known as a spur) from an N2K backbone (aka trunk) can be much more than one cable to one device. 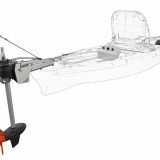 The 6m (20ft) maximum drop length can be branched in various ways and there are multi-ports specifically designed for the purpose, like Actisense’s own A2K-4WD NMEA 2000 4-Way Instrument Drop or Maretron’s Micro Multi Port. (Note that the latter multi is well made by Turck, and if you’re thrifty and adventurous note that I’ve found inexpensive yet industrial strength Turck 8-way multi-ports on eBay that are still working well on Gizmo). 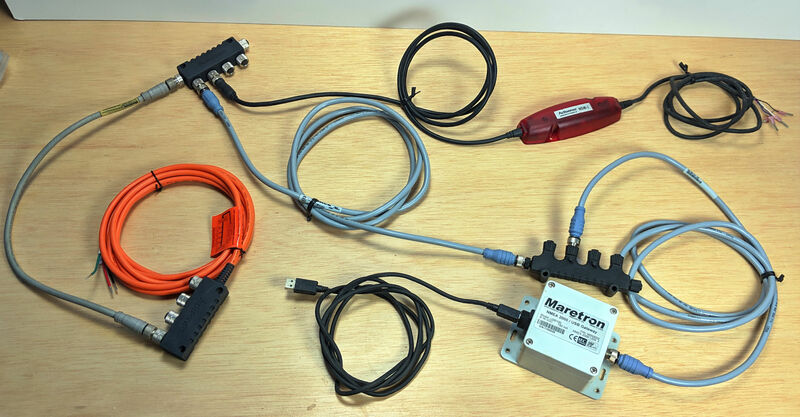 But you can also use regular tee connectors to share a drop, so what you see above is an 8-port N2K network based on the Actisense all-in-one’s very short backbone but extended with a 0.5m Maretron cable and an Actisense A2K-4WT usually used along a trunk line. All 8 ports are female, which is what you want gender-wise as N2K device ports are always male (aka pins showing). And it will meet the NMEA 2000 standard fine as long as the five added drops are not more than 5.5m long, as I’ll illustrate. So now I’ve added another 4-way tee to get a network with 12 available female ports, though they’re all still dropped from the same tiny backbone. And I added a couple of actual N2K devices to better discuss how the drop cable length calculations work. For instance, the red Actisense NGT-1 ISO gateway drops from the little backbone via the 0.5m cable and the device’s own 1.5m N2K cable for a total of 2m. Meanwhile, the gray Maretron USB100 gateway drops via the same 0.5m cable plus the two gray 2m cables for a total of 4.5m. Conclusion: each device is well within the 6m Micro drop limit, even if you add a bit for the intervening tees, and the total 6.5m is a minor dent in the overall 78m drop budget. Moreover, 9 more ports are available with added maximum drop cables ranging from 3.5m to 6m, depending on where you start. Are you still with me? A wonderful way to document an N2K network and test factors like proper cable lengths is Maretron’s free N2KBuilder PC software tool, possibly “better than sliced bread” since 2009. 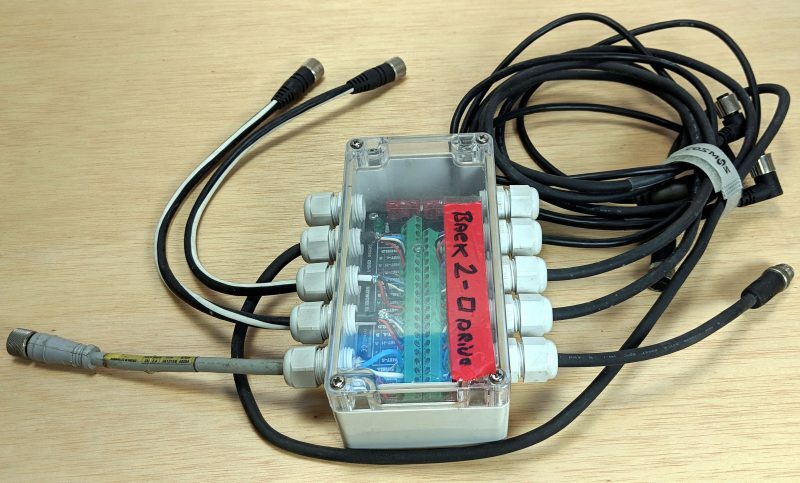 N2KBuilder works with any NMEA 2000 gear and it can also estimate total 12v current needs and possible voltage drops, which is our next subject. In some ways it’s another example of N2K network funkiness you can get away with — note how many different types of Micro cable I used for the drops — but this Actisense QNB-1 Quick Network Block served well for years in the tough electrical environment that was the original 14-foot center console Gizmo, and also on a boat I loaned it to (hence the mysterious tape label, I think). But here I want to point out the two blade fuses as an introduction to the subtleties of high-performance power drops. The QNB, you see, offers split backbone power, but not dual power entry points, and I’m guessing that most readers have no idea what that means. I first wrote about N2K power taps (aka power drops) in 2009, and the best methods for working with the limitations of Micro cable 22 gauge power wires remain the same: Insert the 12v power near the middle of the network to minimize the power wire/resistance run and also split the tap so each side gets the full 4 amp maximum feed (and also because you may want the ability to depower half the network). 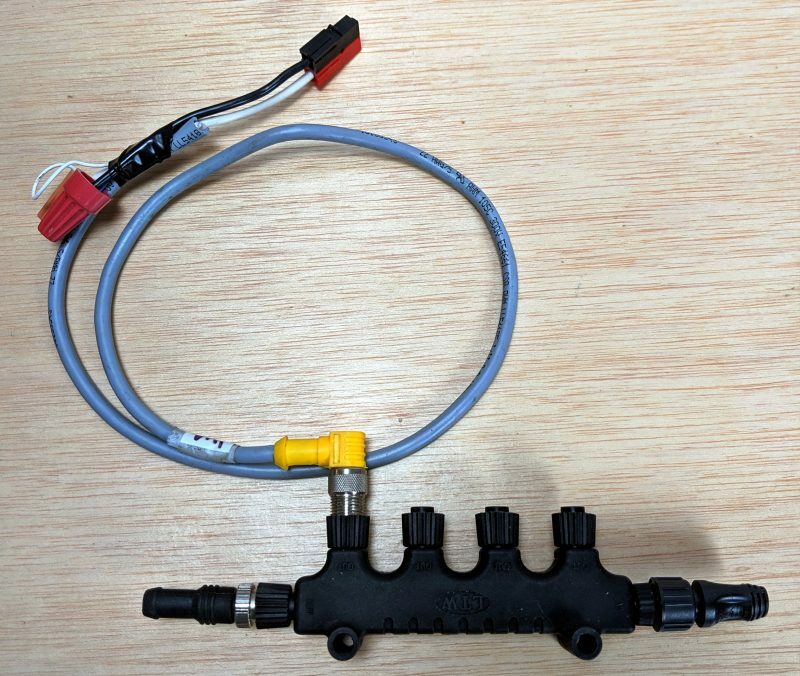 So as rugged and flexible as the Actisense QNB is — note the choice of gland or Micro C port models, or you can mix your own with A2K-PMW connectors — it does not have separate power feeds. You can feed the internal power terminal block with a heavy gauge wire fused at 8 or more amps, and each side of the network will get 4 amps to supply each device N2K processor plus any N2K-powered sensors, but you can not switch the sides separately. It’s subtle indeed, but possibly important to someone who wants to keep part of an N2K network constantly alive on a meager power budget. 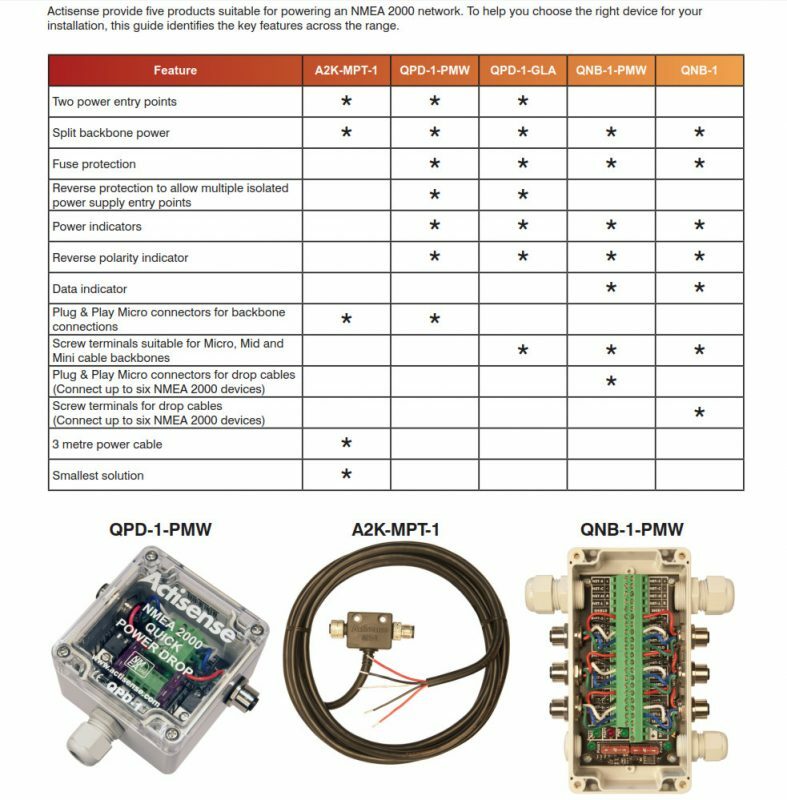 Meanwhile, the two QPD Quick Power Drop models, which I discussed in 2012 along with other N2K network details, offer dual power entries and split feeds along with other QNB goodies like reverse polarity and data activity LEDs, as shown in the Actisense Power Feed Guide (PDF) seen in part above. However, the QPD has been discontinued, although there are many still in the supply chain and this is not the sort of product where you have worry about updates. But how about that simple yet fully split A2K-MPT-1 Micro Power T-Piece? It will certainly get the job done, but also leads to an extra subtle N2K gender issue. The Actisense power drop tee is very much like Maretron’s bright yellow Micro/Mid PowerTap Tee except for one thing. 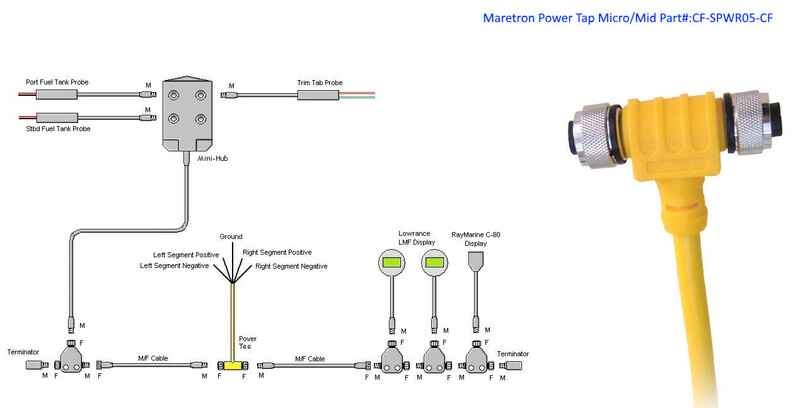 While the Actisense Tee is like a normal N2K Tee — which leaves one female and one male port available once the device or power drop is attached — the Maretron power tee presents two female connectors. 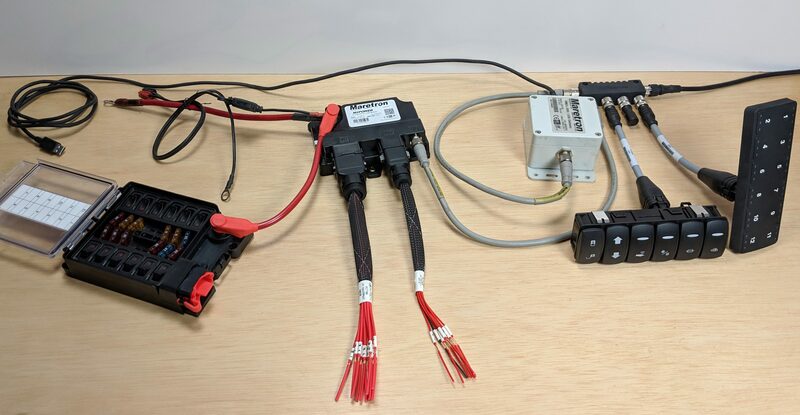 The idea — not mentioned in the NMEA 2000 standard — is that in a network where all male connectors are pointed toward the power supply there will never be hot power pins exposed to possible trouble. You can see the gender symmetry in the diagram I found at an old but gold DIY site, and while this is again a subtlely good practice, why not if the cost and hassle are virtually nil? And in the virtuous Actisense/Maretron tennis game of high-performance N2K network hardware, it’s the former who makes gender modification quite easy. Actisense has offered A2K-GC Lite Gender Changer Cables for quite a while, though I only recently had hands-on experience. Like all their N2K network hardware, and Maretron’s, the quality is excellent. But I dare say that these humble little cables have actually evoked shouts of “Hallelujah!” on certain occasions, like when a boat-scrunched installer discovers that the N2K trunk extension in progress is gender wrong. And here’s another way a gender change cable can be useful. With the black female-to-female change cable at left, a standard Actisense 4-way and simple power cable becomes Maretron-like gender optimal with all male connector pins pointed toward the 12v feed. Of course field installable N2K connectors are another way to solve gender issues, though not as easy. 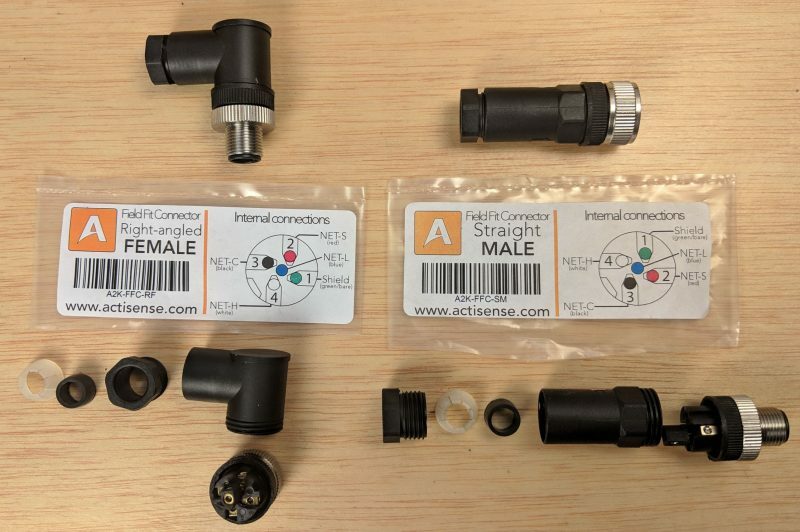 Actisense also sent me a full set of their male/female straight/right-angled A2K Field Fit Connectors to check out. It’s no surprise that they are well designed and manufactured, but there are important subtleties in this area too, and I have a slight preference for Maretron’s Micro/Mid Field Attachables. More specifically, I caution against the Amphenol LTW Field Installable connectors seen at bottom above, and I hope the photo illustrates why. After you run a naked N2K Micro cable through the various sealing and strain relief bits at left — all quite functional — there comes the moment when you must fish five skinny stripped wires into five specific locations, and good guidance really helps. In my view, Maretron is the winner with color-coded and verbose labels, Actisense a close second with deeply engraved black-against-gold numbers that key to the pinout diagram included in the packaging, and… well, I did try hard to reveal the pin numbers embossed on the black plastic Amphenol in this carefully lit close up, but you may want a serious magnifying loop on the job. Frankly, I try to avoid using any field attachables because of the extra work and the occasional failures I’ve experienced (possibly due to my own impatient work), but I know they are very useful for some installs. And there are subtle differences. I hope this has been an edifying discussion of the NMEA 2000 Micro networking that’s now a critical component on about every new or refurbished recreational boat around. 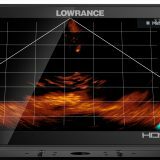 Actisense and Maretron are certainly not the least expensive sources, but then again is this an area where it makes sense to go cheap? I’m closing with the final network I put together on my project bench before heading off on a late March vacation. It’s a more normal design than what you’ve seen above and you’re only seeing part of it because the black cable at upper right is backbone headed off to the lab’s base system and power drop. But, hallelujah, all the components shown are a demo kit of a powerful yet inexpensive Maretron MPower digital switching system that’s slowly rolling out. As hoped for, MPower is quite like the Octoplex Octolite shown at MIBS 2018, but it’s fully integrated with current Maretron monitoring gear — even without the higher-end N2KView — and it will eventually be available to small builders and knowledgable do-it-yourselfers via the normal Maretron channels. More to come, and I also look forward to the official release of Actisense’s W2K-1 NMEA 2000 to WiFi module, which demoed impressively at METS. I expect I’ll be ripping out most of my 0183 gear this year and replacing it with N2K. 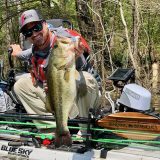 This article was great to see some of the choices out there.  Do you have any recommendations on primer articles/blog entries to help me make initial decisions on things like power, location, backbones vs. spurs, etc.? Chris, Ben is probably still on vacation (after all winter in Camden, hopefully some place warm & sunny!) but there are some good primers out there. Maretron has a good one at : https://www.maretron.com/products/pdf/Network%20Installation%20Guide.pdf and the site Ben linked above: http://www.boat-project.com/nav/n2000.htm is a good one for “How to build it yourself”. Many manufacturers have good guides packed with their equipment – we have Raymarine and their manuals are fairly good. 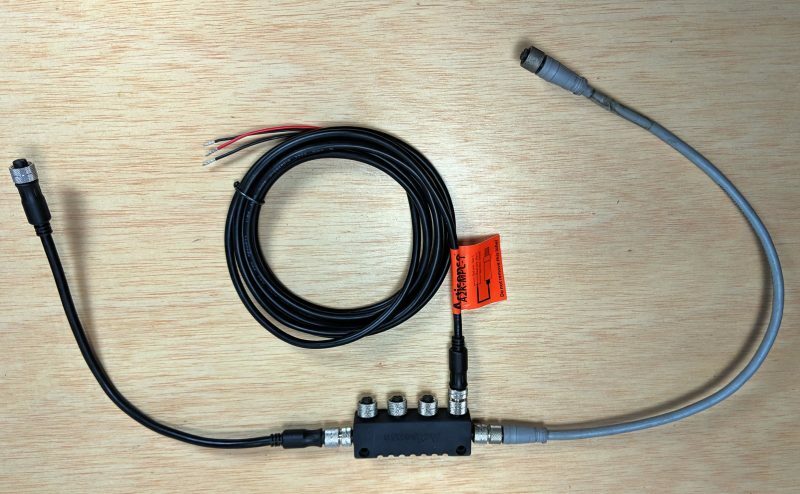 Remember that you DON’T have tohave the same brand throughout your system if you are using NMEA2K – while Raymarine has what it calls “Seatalk 2”, it’s NMEA2K with different connectors (and some of their new stuff no longer uses their proprietary connectors). I am actually back from 10 days touring amazing Arizona ecologies, and glad I am. This morning we had 50 cent coin size snowflakes drifting gracefully down onto early spring mud, a rare site to behold. Actisense W2K was just announced on FB to be released this month! Ben – good article, but I find your suggestion that mixing different brands of N2K components represents “poor practice” – isn’t that the whole point of a “standard”? Resistance is resistance – a scientific measurement, irrespective of brand. If a particular component doesn’t function correctly, it’s because it didn’t meet the value specified in the standard, NOT because it was of a different brand than the one it was connected to. 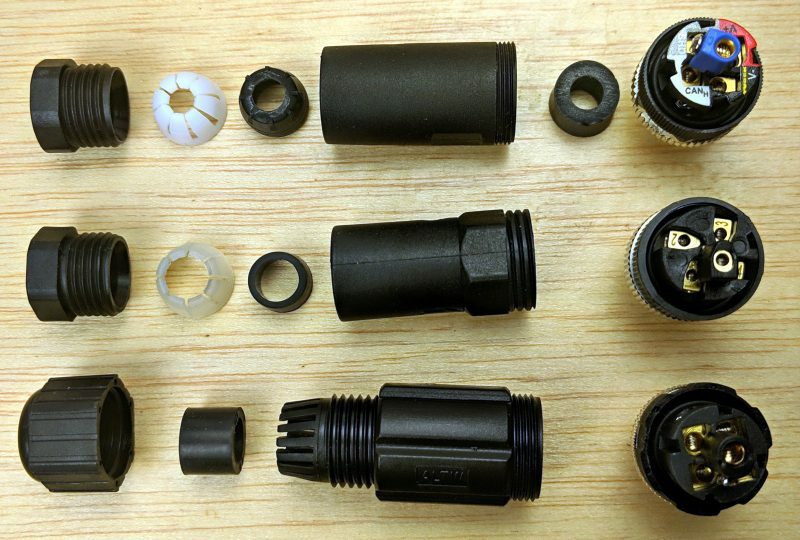 Maintaining a single brand throughout DOES have other advantages, specifically when mounting multi-drop Tee’s or other components flat against a panel. The orientation key on some manufacturers Tee’s is different than others – something that apparently was not part of the spec. But functionally, they should all work. I’ve combined Maretron, Navico, and Garmin components before, sometimes simply due to local supplier availability, and never had a problem. Grant, my feeling is that maintaining one brand across the system is mostly good for reducing finger-pointing when something goes wrong 🙂 . I would agree that a manufacturer who claims a system failure is because of “the other guy” needs to be required to explain exactly why – but that isn’t always easy, and if you’re not in a place to do detailed troubleshooting, it can be a real PITA to deal with. Good point Hartley, and yes, all things being equal, staying with a single brand makes sense for the reason you pointed out, and perhaps others. I just think that deviating from that does not equal “poor practice” – and I would hope others would not view it that way either. Leaving the impression that NMEA2000-certified products are not necessarily compatible among brands runs counter to the whole principle of the standard – IMHO. I know Ben E has had some rants in the past about how different brands of MFD respond differently to some N2K info – DSC Distress calls and AIS MOB data, for example – and some don’t seem to respond at all, which is disappointing. I have also heard of some discontinuities in how AtoN AIS data is presented – you would think these would be old news by now, but apparently not. Hartley, I know of any proprietary N2K messages causing trouble and a lot of good things would not have happened without them. But NMEA 2000 certification does not include any rules about which standard PGNs a device has to read or transmit (besides the network protocol ones), let alone how they are displayed. And I’m persuaded that it would be a regulatory nightmare to impose such rules. Well, I don’t think I said anything about mixing N2K devices, which I do a lot although Hartley’s point is valid. But I also mix N2K network components like tees, cables and terminators although I do think it’s slightly better practise to stay with one or two high-quality types, especially for large N2K networks. Grant is correct that one certified NMEA 2000 terminator or length of cable should act just like another, but I do recall the long ago time when Garmin apparently had to replace its cables to get the resistance right. Stuff happens and on N2K networks it tends to show up in odd, intermittent ways. Are you sure about that, 3rd diagram “Legal N2K network with 8 female ports and a 4-tee backbone”. Terminating resistors seem to be missing. I’m quite sure, Dan. If you read from the beginning you’ll hopefully see that the Actisense 4 Way Small Boat Network with the orange power cable built in also has terminators built in. It’s the only way that several of those network designs are legal.